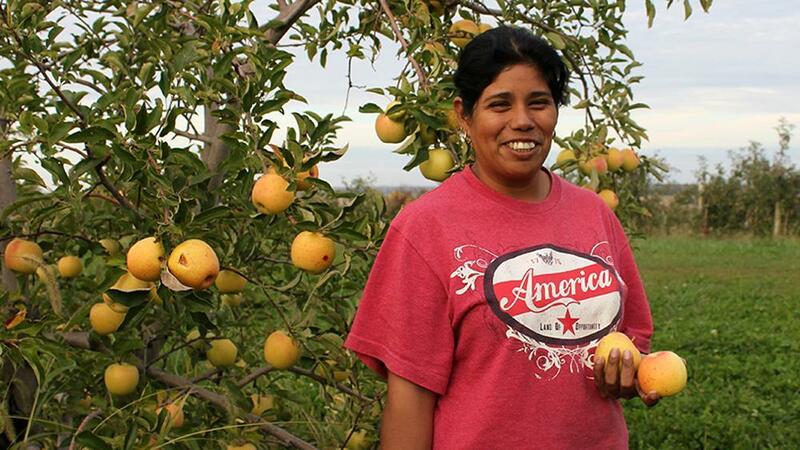 Like many agricultural workers, migrant farmworkers often turn to class-action lawsuits to collect unfairly withheld or stolen wages. That’s because ag-sector workers, like farmhands and meatpacking-plant employees, often have to turn to class-action lawsuits to collect unfairly withheld or stolen wages. Monday’s 5-4 decision in Epic Systems v. Lewis originated from three similar lawsuits in which workers challegened their employers’ right to contractually obligate them to individually settle disputes with the help of an arbitrator. Justice Neil Gorsuch said in the opinion that mandatory arbitration agreements do not violate the National Labor Relations Act, which guarantees employees the right to collective bargaining. Ginsburg might consider migrant farmworkers, people who are employed at meatpacking plants and, in some cases, H-2A visa workers, among the “vulnerable,” said University of Denver law professor Nantiya Ruan. According to the Bureau of Labor Statistics, 2.2 million hourly wage workers earned the federal minimum wage or less in 2016. And the majority of the county’s 2.5 to 3 million agricultural workers earn an hourly wage, according to the National Center for Farmworker Health, 30 percent of which live in poverty. Due to the cost of litigation and the relatively small damages associated with these cases, class-action lawsuits are ag-sector workers’ most feasible means for legal action, she said. “Many low-wage workers have negative value claims that cannot be prosecuted unless they’re brought collectively,” said Ruan, whom Ginsburg cited in her dissent. Ruan added that when a large number of employees are able to band together, their objective is often to change the policies and practices of their workplace and improves conditions for future workers. That’s not the case with individual arbitration, which only seeks to resolve the grievances of one individual. 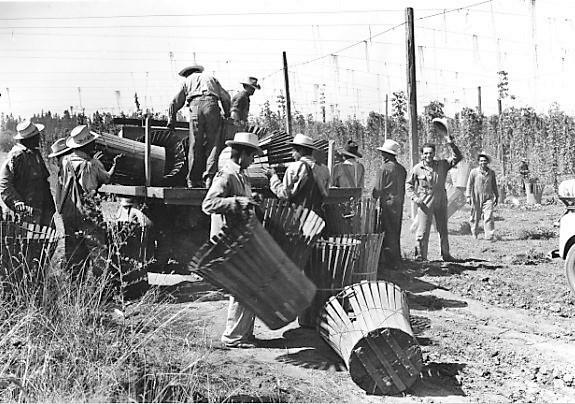 Between 1942 and 1966, the Bracero Program brought 4.6 million Mexican migrant workers to the United States including to jobs in Iowa. They were working largely in agricultural jobs. Brian Behnken is an associate professor of history and the U.S. Latino studies program at Iowa State University. He explains the history of the program, how it was implemented, and what was required of workers and employers. The program began during World War Two. The U.S. House's attempt to pass a farm bill failed this morning. A number of Republicans were trying to leverage votes for a conservative immigration bill first. Congressman David Young from Iowa's third district voted for the bill, and he says that he is confident that there will ultimately be a farm bill. But he says it's tough for farmers especially in light of other trade policies. 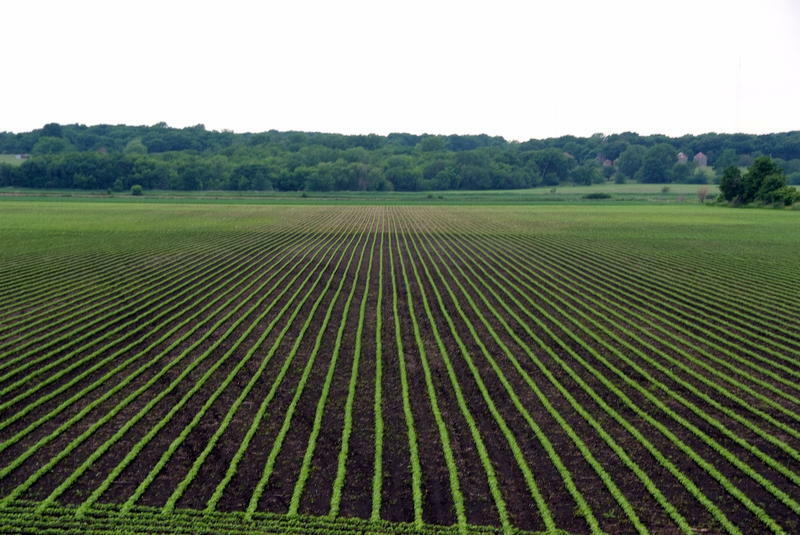 ­­­­­­American farms should be in full swing right now. But some farmers are running behind, waiting on work visas for planters and pickers from out of the country. The H-2A visa program is delayed for the third year in a row. It sounds like the setup to a bad joke: A professor and a doctor walk onto a farm. Kathleen Terrence, a pediatrician, kneels in an onion field outside Lisbon, N.Y., with a bunch of kids. 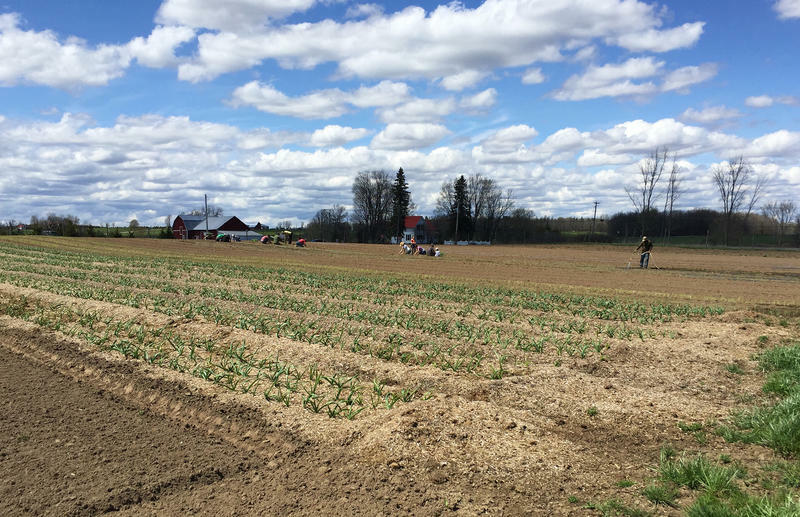 As they prepare to plant some 30,000 onions, they're all taking tips from Mark Sturges — but he's no farmer, either. He's a literary critic.